Sales of cigarettes in Korea declined 1.6 percent in the first six months of the year compared to a year earlier, due to a government-led anti-smoking campaign and higher prices, data showed. 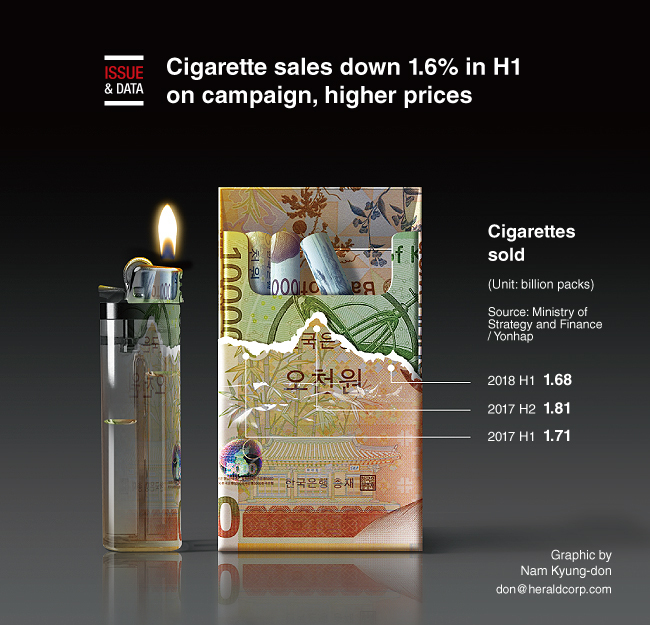 Korean smokers purchased 1.68 billion 20-cigarette packs in the first half of the year, compared with the previous year’s 1.71 billion packs, according to data compiled by the Finance Ministry. Starting in January 2015, Korea increased the price of cigarettes by 80 percent, from 2,500 won ($2.20) per pack to 4,500 won, in an effort to curb smoking.